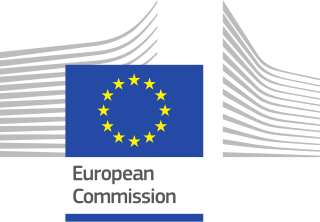 This is a logo owned by European Commission for European Capital of Culture. In 1985, Melina Mercouri, Greece’s minister of culture, and her French counterpart Jack Lang came up with the idea of designating an annual Capital of Culture to bring Europeans closer together by highlighting the richness and diversity of European cultures and raising awareness of their common history and values. It is strongly believed that the ECoC significantly maximises social and economic benefits, especially when the events are embedded as a part of a long–term culture-based development strategy of the city and the surrounding region. For two of the capitals each year, eligibility is open to cities in EU member states only. From 2021 and every three years thereafter, a third capital will been chosen from cities in countries that are candidates or potential candidates for membership, or in countries that are part of the European Economic Area (EEA)– an example of the latter being Stavanger in Norway, which was a European Capital of Culture in 2008. A 2004 study conducted for the Commission, known as the "Palmer report", demonstrated that the choice of European Capital of Culture served as a catalyst for the cultural development and the transformation of the city. Consequently, the beneficial socio-economic development and impact for the chosen city are now also considered in determining the chosen cities. The European Capital of Culture programme was initially called the European City of Culture and was conceived in 1983, by Melina Mercouri, then serving as minister of culture in Greece. Mercouri believed that at the time, culture was not given the same attention as politics and economics and a project for promoting European cultures within the member states should be pursued. The European City of Culture programme was launched in the summer of 1985 with Athens being the first title-holder. During the German presidency of 1999, the European City of Culture programme was renamed to European Capital of Culture. 2000 Avignon France The year 2000, called the millennium year, was treated by the European Union in a special way, in order to emphasize the enduring heritage and contribution of European cities to the achievements of world culture and civilization. Because of that, nine locations were chosen, including two cities of states that were to join the EU on 1 May 2004. 1 A new framework makes it possible for a city in a candidate country or potential candidate for EU membership to hold the title every third year as of 2021. This will be selected through an open competition, meaning that cities from various countries may compete with each other. 2 The European Capital of Culture was due to be in the UK in 2023. However, due to its decision to leave the European Union in 2016, UK cities would no longer be eligible to hold the title after 2019. The European Commission's Scotland office confirmed that this would be the case on 23 November 2017, only one week before the UK was due to announce which city would be put forward. The candidate cities were Dundee, Leeds, Milton Keynes, Nottingham and a joint bid from Northern Irish cities Belfast, Derry and Strabane. This caused anger amongst the UK candidate city's bidding teams due to the very short notice of the decision, and because of the amount of money they had already spent preparing their bids. Locations of European Capitals of Culture. Green designates current cities; red is for past cities; and blue for future cities. ^ "Decision No 445/2014/EU of the European Parliament and of the Council of 16 April 2014". 3 May 2014. ^ "European Capitals of Culture 2020 to 2033 — A guide for cities preparing to bid" (PDF). European Commission. ^ "Brexit blow to UK 2023 culture crown bids". BBC News. 23 November 2017. Retrieved 23 November 2017. ^ "European Capital of Culture 2024 will be from Estonia, again". Republic of Estonia/Ministry of Culture. Retrieved 1 September 2018. ^ "Call for submission of applications for the Union action "European Capitals of Culture" for the year 2024 for cities in EFTA/EEA countries, candidate countries and potential candidates for EU membership". European Commission. 20 August 2018. Retrieved 1 September 2018. ^ MOSTAR: Europska prijestolnica kulture 2024. ^ "Zum Auftakt" (in German). Kulturstiftung der Länder. 29 August 2018. Retrieved 1 September 2018. ^ "Kulturhauptstadt Europas 2025 - Festlegung der Grundzüge des nationalen Auswahlverfahrens" (PDF) (in German). Kultusministerkonferenz. 1 June 2017. Retrieved 25 December 2017. ^ Kulturhauptstadt 2025: Hannover wird offiziell "Candidate City"
^ "Stadt Hildesheim – Tagung zum Thema „Kulturhauptstadt Europas 2025"". www.hildesheim.de. Retrieved 24 August 2016. ^ "We want to become the European Capital of Culture - with the central idea of "RESPONSIBILITY!"". Magdeburg Sein 2025 Kulturhauptstadt Werden. Retrieved 28 April 2018. ^ "RUM". Rum.pt. Retrieved 25 June 2017. ^ "Brno Steps Up Preparations For 2028 European Capital of Culture Bid". brnodaily.cz. Retrieved 14 March 2019. ^ "Leuven stelt zich kandidaat als Europese Culturele Hoofdstad 2030". demorgen.be. Retrieved 17 December 2017. ^ "European Capitals of Culture". European Union. 5 June 2015. Retrieved 6 June 2015. ^ Brady, Jon (23 November 2017). "Brexit destroys Dundee's hopes of being European Capital of Culture in 2023". Evening Telegraph. Retrieved 23 November 2017. ^ Lorimer, Scott. "The latest news and sport from Dundee, Tayside and Fife". Evening Telegraph. Retrieved 25 June 2017. ^ "European Capital of Culture". www.milton-keynes.gov.uk. Milton Keynes Council. Archived from the original on 6 June 2017. Retrieved 12 January 2016. ^ Meredith, Robbie (5 July 2017). "NI councils make bid for European Capital of Culture title". BBC News. Retrieved 5 July 2017. Wikimedia Commons has media related to European Capital of Culture. Maria Amalia "Melina" Mercouri was a Greek actress, singer, and politician. She received an Oscar nomination and won a Cannes Film Festival Award for her performance in the 1960 film Never on Sunday. Mercouri was also nominated for three Golden Globes and two BAFTA Awards in her acting career. Viviane Adélaïde Reding is a Luxembourgish politician and a former Member of the European Parliament (MEP) from Luxembourg. She is a member of the Christian Social People's Party, part of the European People's Party. She previously served as European Commissioner for Education and Culture from 1999 to 2004, European Commissioner for Information Society and Media from 2004 to 2010 and European Commissioner for Justice, Fundamental Rights and Citizenship from 2010 to 2014. The European Union has a budget to finance for policies carried out at European level. Brussels in Belgium is considered the de facto capital of the European Union, having a long history of hosting the institutions of the European Union within its European Quarter. The EU has no official capital, and no plans to declare one, but Brussels hosts the official seats of the European Commission, Council of the European Union, and European Council, as well as a seat of the European Parliament. The accession of Serbia to the European Union is the process of the Republic of Serbia being admitted to the European Union as a member state and it is on the current agenda for future enlargement of the EU. This is the list of the serving generals of the Pakistan Army. At present, the army has two full generals, 29 lieutenant generals and 194 major generals. The UK City of Culture is a designation given to a city in the United Kingdom for a period of one year. The aim of the initiative, which is administered by the Department for Digital, Culture, Media and Sport, is to "build on the success of Liverpool's year as European Capital of Culture 2008, which had significant social and economic benefits for the area". The inaugural holder of the award was Derry~Londonderry in 2013. In 2017, Kingston upon Hull took over the title. On 7 December 2017 it was declared that Coventry had been chosen to host in 2021. Ruhr.2010 – Kulturhauptstadt Europas was the name of the campaign in Germany's Ruhr region that earned it recognition as a European Capital of Culture in 2010. This was the first time a region was considered, as Essen represented all 53 towns in the region in the application. Other cultural capitals were in the same year the Hungarian Pécs (Pécs2010) and Istanbul in Turkey, where similar campaigns were held. The 2023 Rugby World Cup, to be hosted by France, is scheduled to be the tenth Rugby World Cup, taking place in the year of the 200th anniversary of the 'invention' of the sport by William Webb Ellis from 8 September to 21 October. The final will take place at the Stade de France.